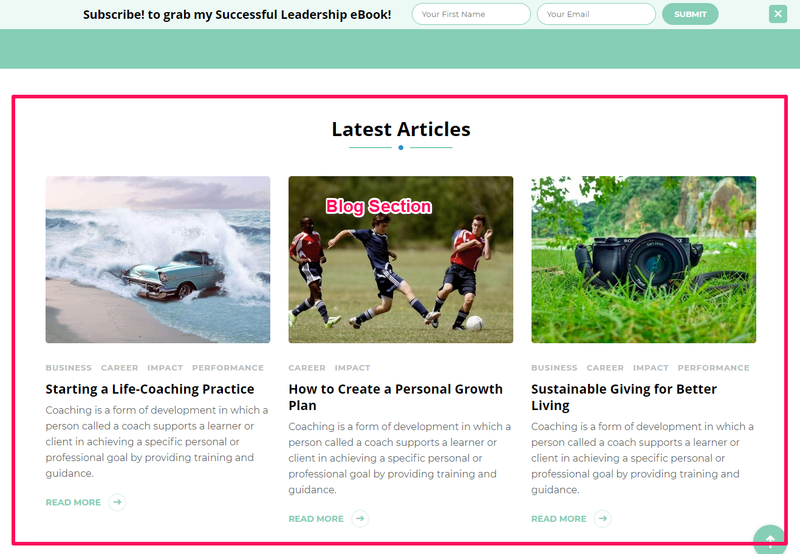 Thank you for choosing Life Coach WordPress Theme. 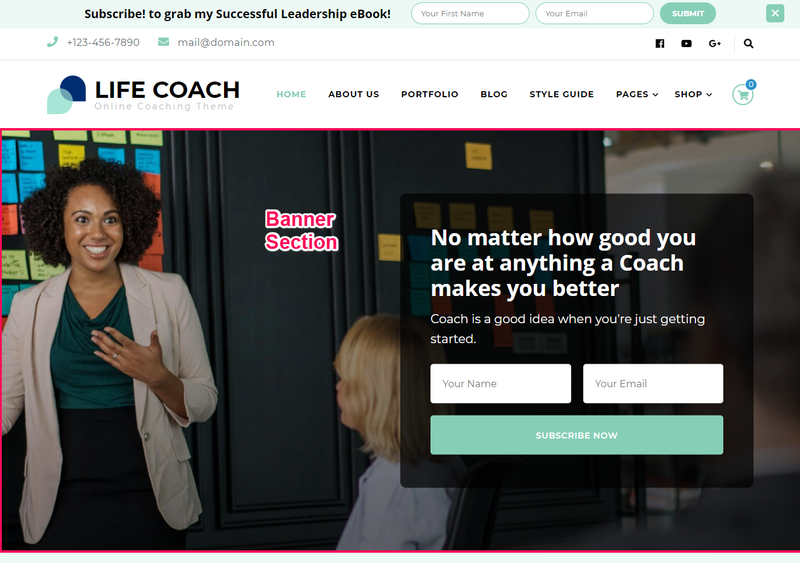 Life Coach is a child theme of Blossom Coach Free WordPress Theme. 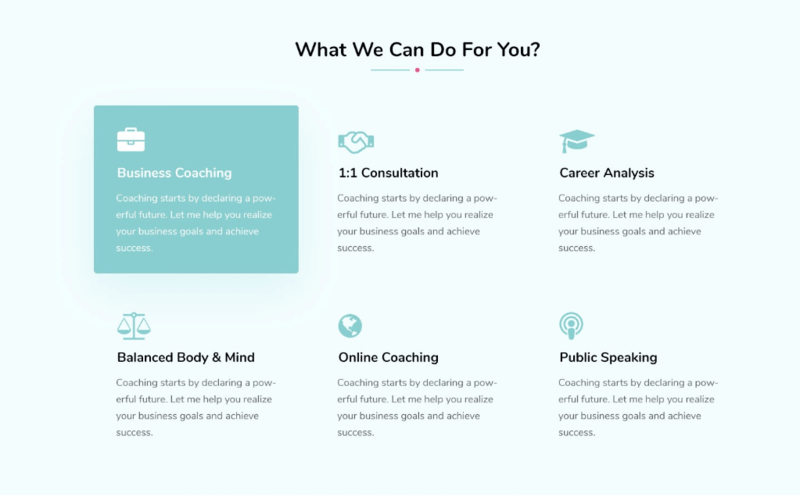 We hope you enjoy this feminine corporate WordPress theme, which we designed especially for you to create a lively and eye-catching website for coaches, motivators, and teachers. 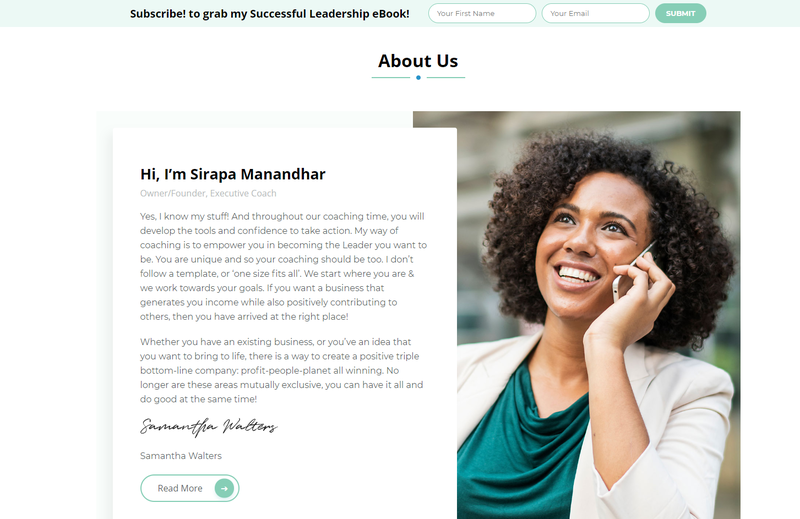 Our team created it with a lot of hard work and love. 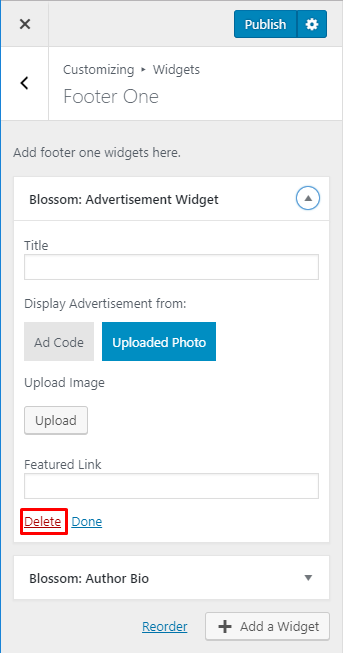 And we want your website to blossom with our Life Coach. 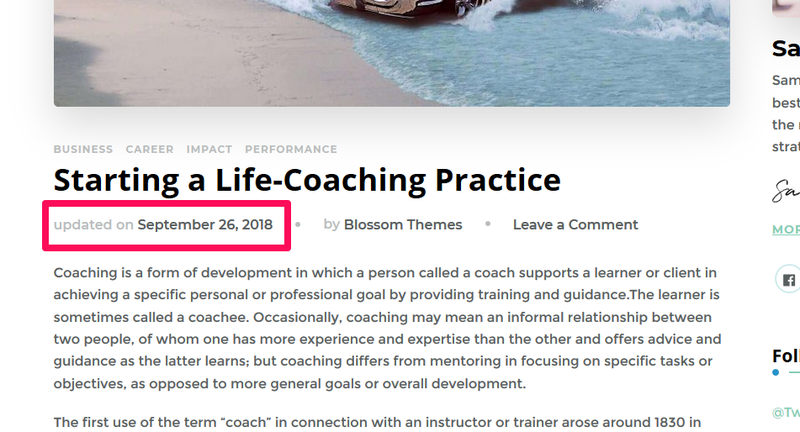 Make sure Life Coach is compatible with your WordPress version. 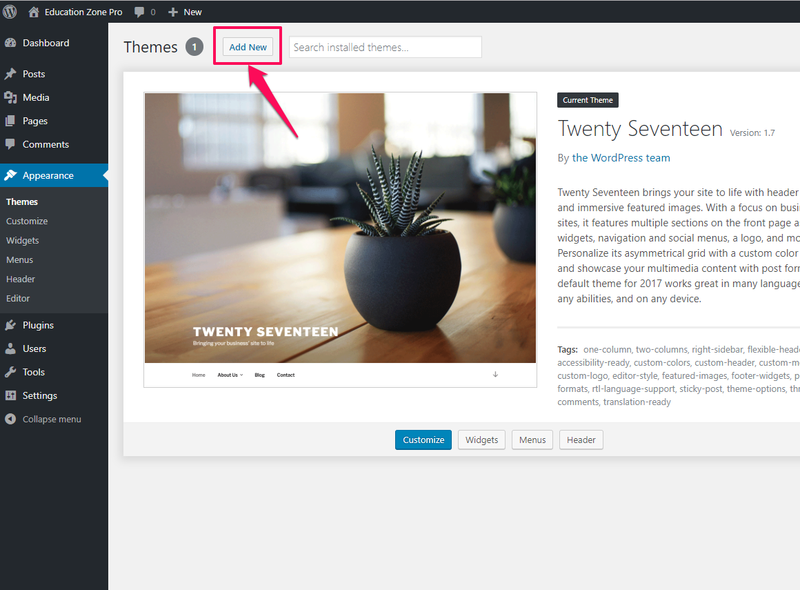 Life Coach will work with 4.7 and above versions of WordPress. 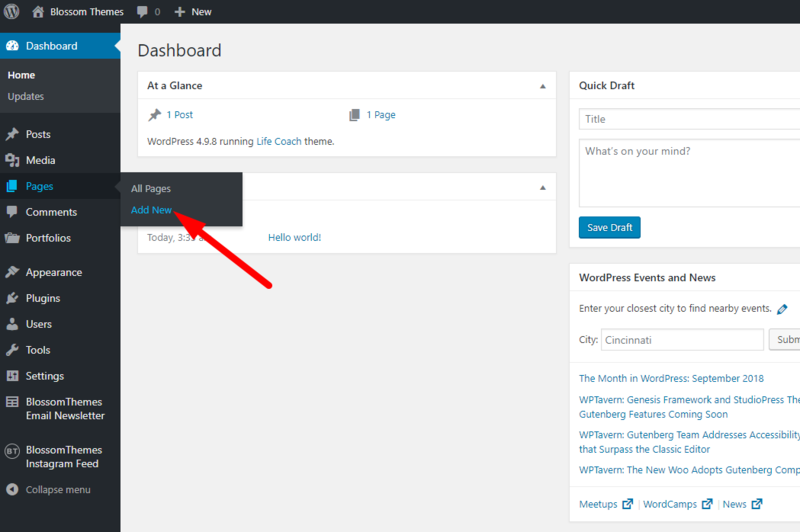 After you have the latest version of WordPress, save the downloaded Life Coach theme file (life-coach.zip) somewhere handy on your computer, as you will be using the included files for the rest of the installation process. 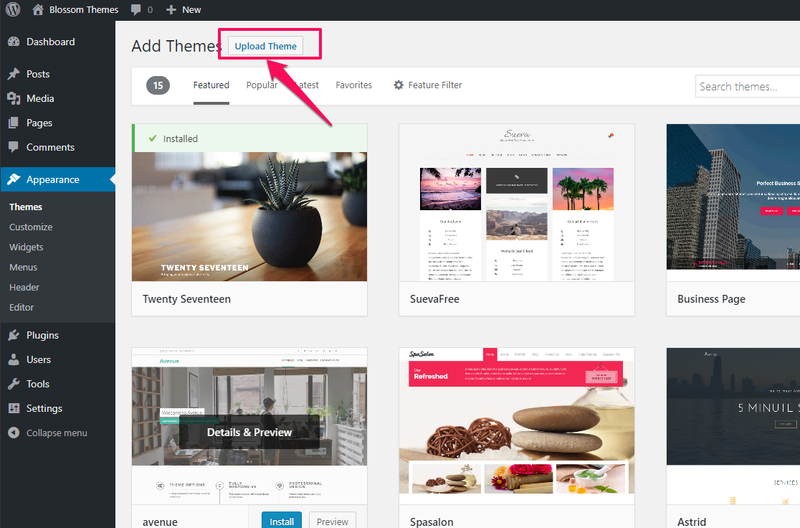 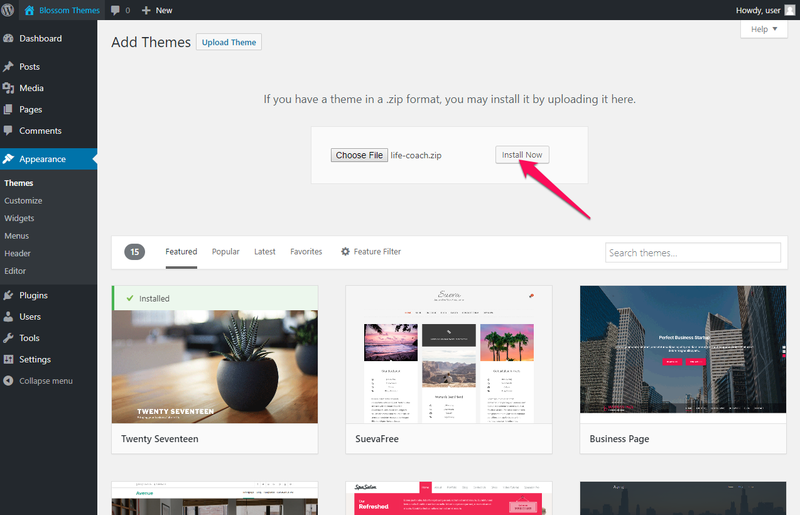 A WordPress Theme Files (in .zip format) — This (life-coach.zip) is a compressed WordPress theme file containing all of the required templates, images, and icons required for the theme to function properly. 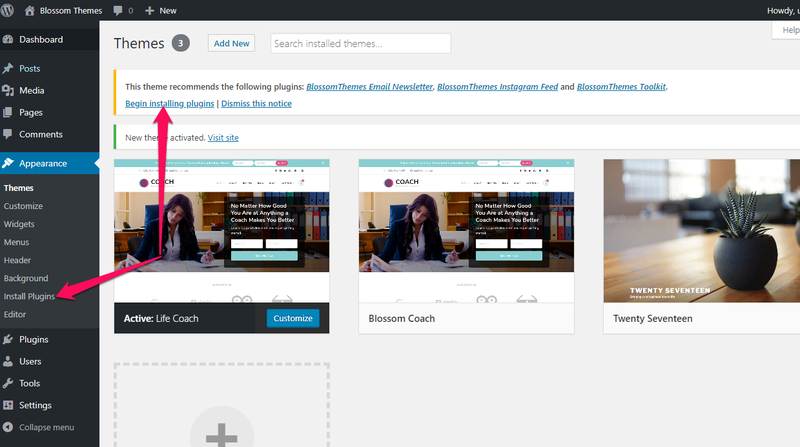 Note Regarding Parent Theme: If you are installing Life Coach theme offline, make sure you have Blossom Coach theme installed. 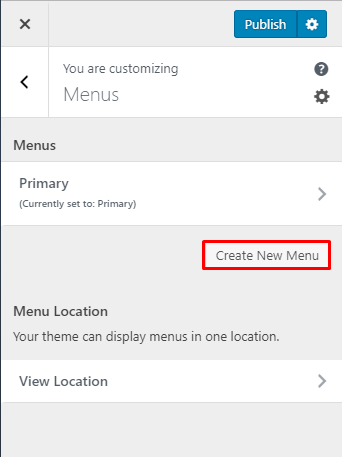 You need the parent theme to install the child theme. 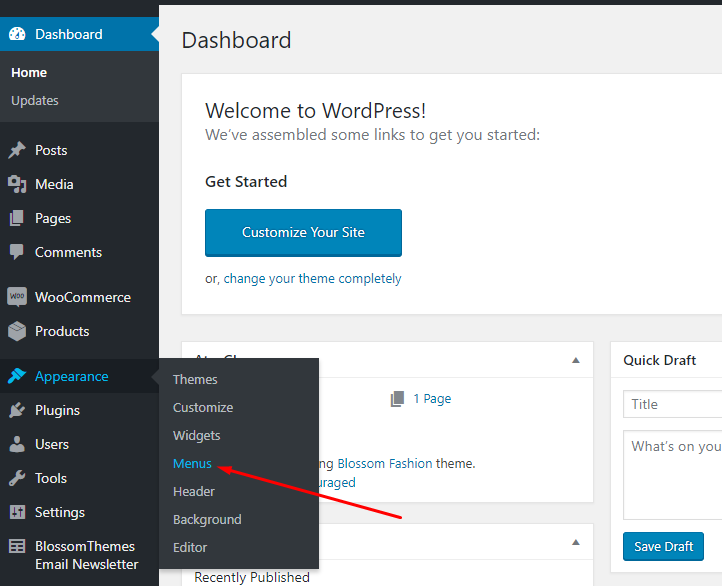 However, if you are connected to Internet, the parent theme (Blossom Coach) will be installed automatically form WordPress repository so you don’t have to worry about it. 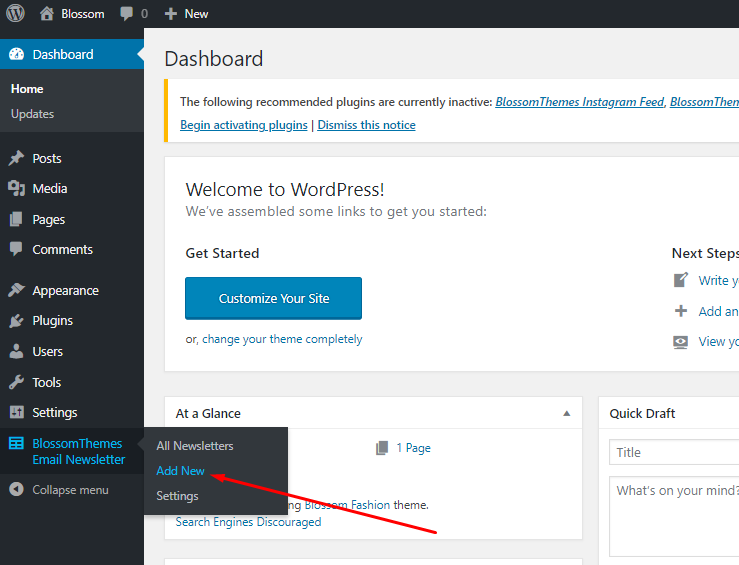 You must install and activate the following plugins to get the best out of Life Coach theme. 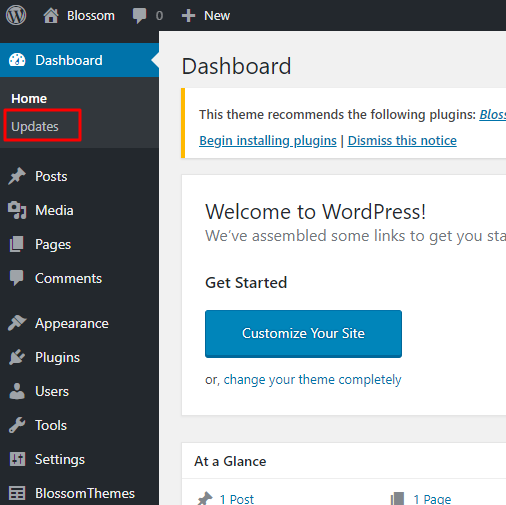 Click on “Activate” to activate the plugins. 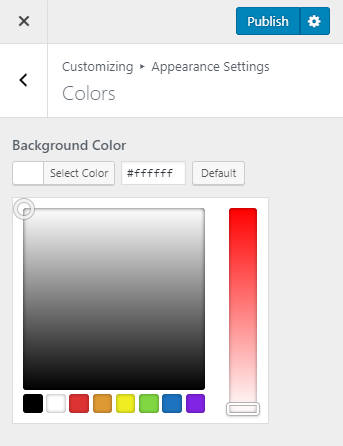 Please follow the below steps to change the background color of website. 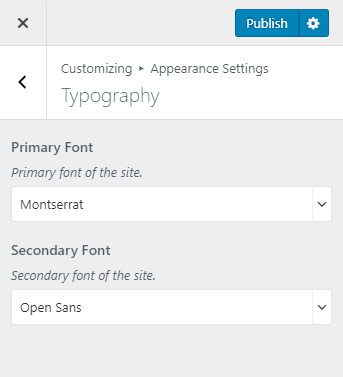 You can change the typography of your website using this settings. 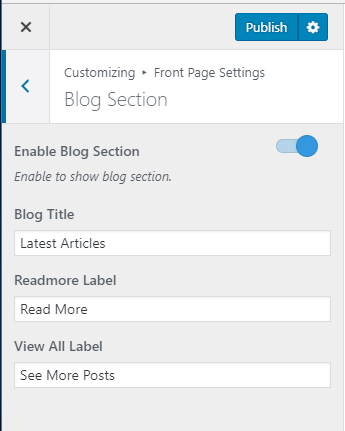 You can choose the blog layout of your website from this settings panel. 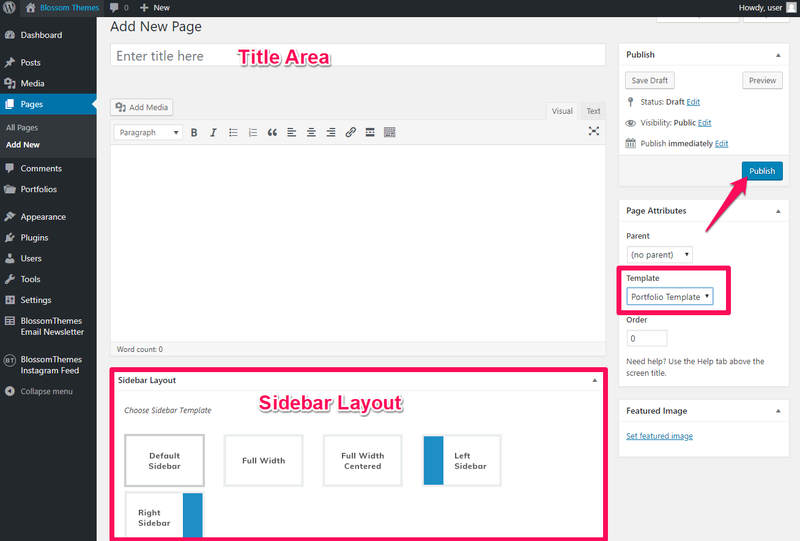 You can choose from three different layouts. 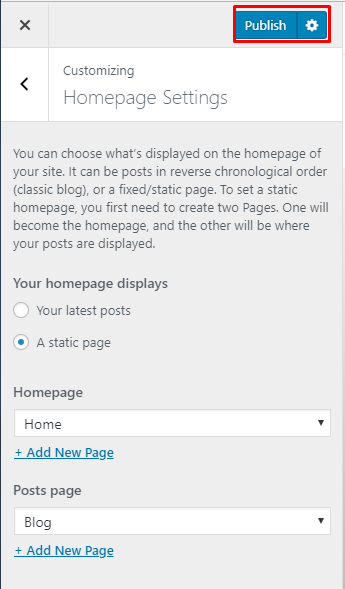 Please follow the below steps to select a blog layout for your website. 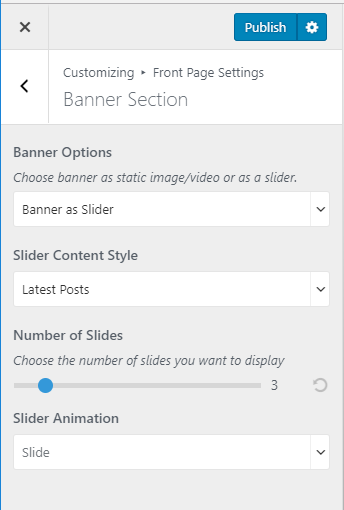 You can set up a static image, video, or a slider on your banner section. 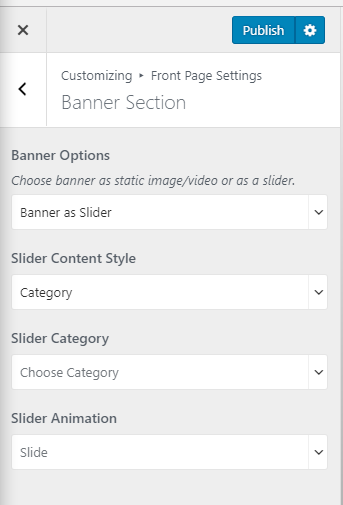 The banner will be displayed at the top of your website. 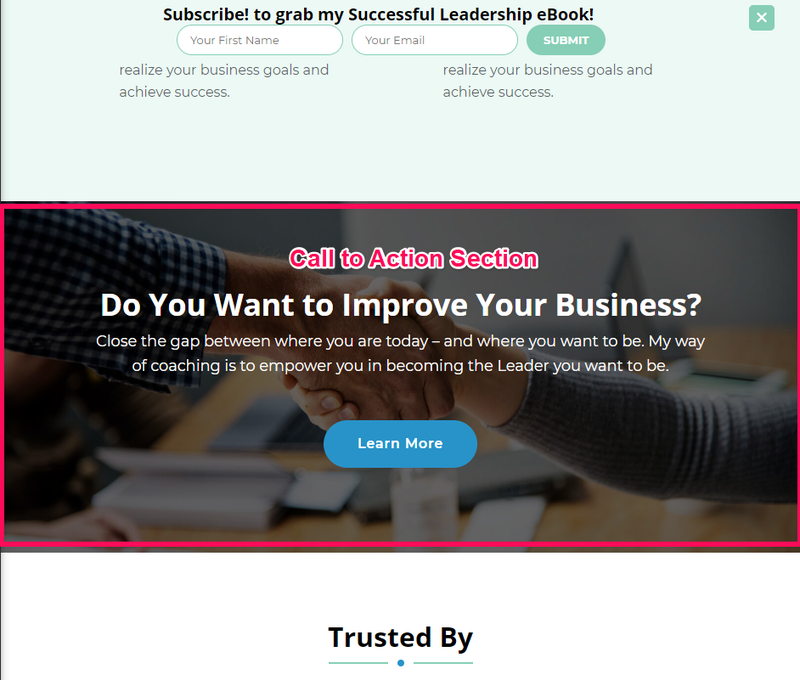 Choose Static/Video Newsletter Banner under Banner Options. 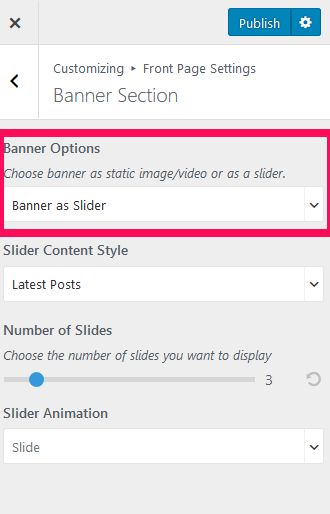 Choose Disable Banner Section if you do not want banner at all. 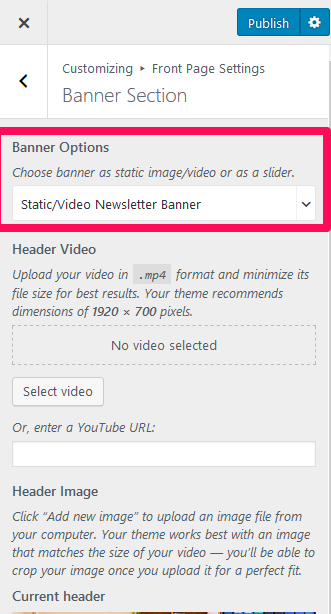 Note: When you use image and video both at the same time as a banner, video will be shown as default. 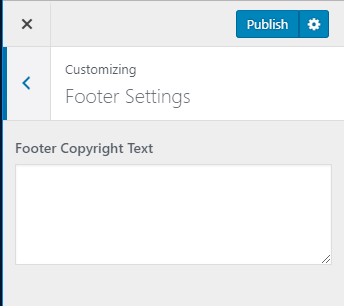 You can add the logos of your clients using this settings panel. 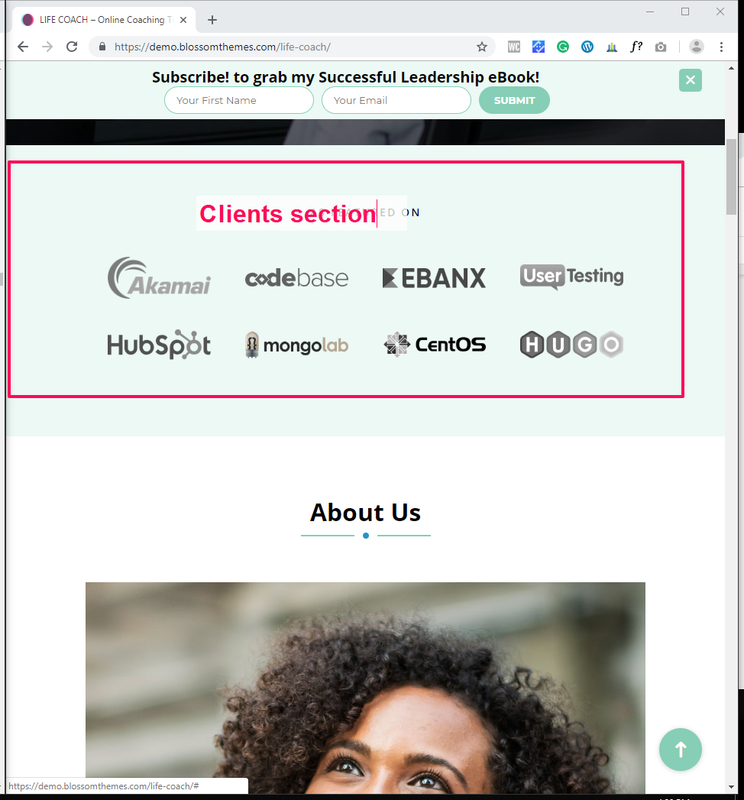 Please follow the below steps to add your clients on the homepage. 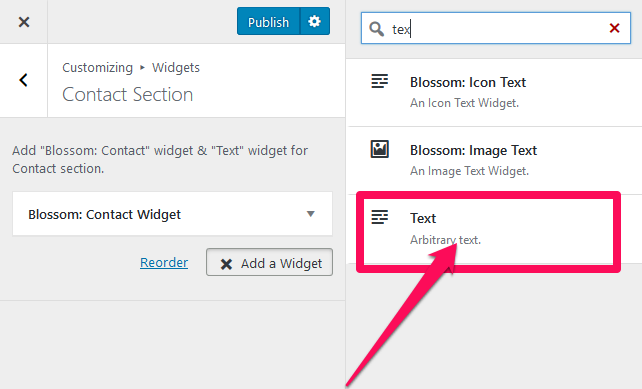 Under ” Blossom: Icon Text ” widget, enter Title, Description, upload an image or choose an icon. 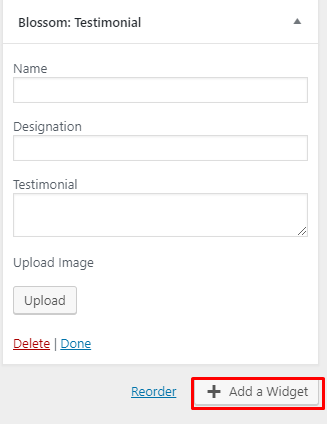 Click Done. 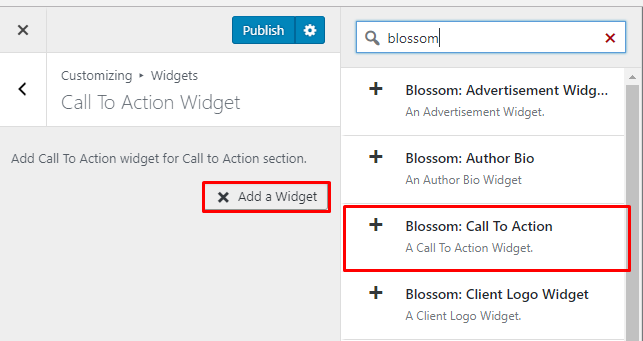 Click Add a Widget and select ” Blossom: Icon Text” Widgets to add more services. 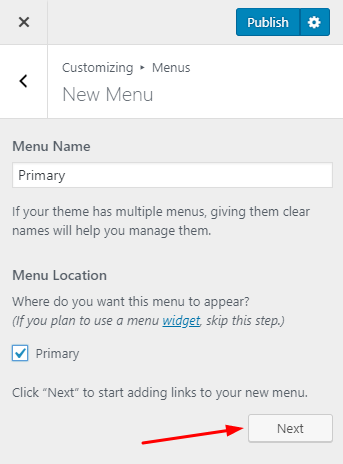 You can add your client words using this settings panel. 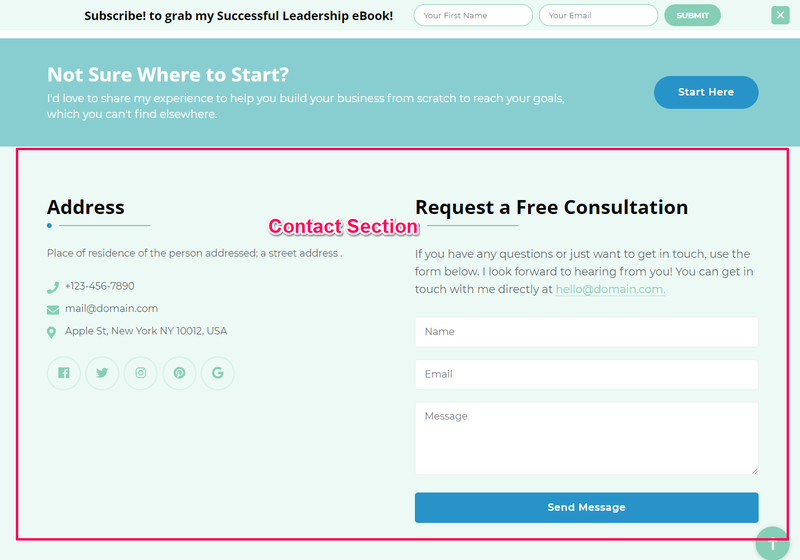 Enter the name, designation, and testimonial from the client. 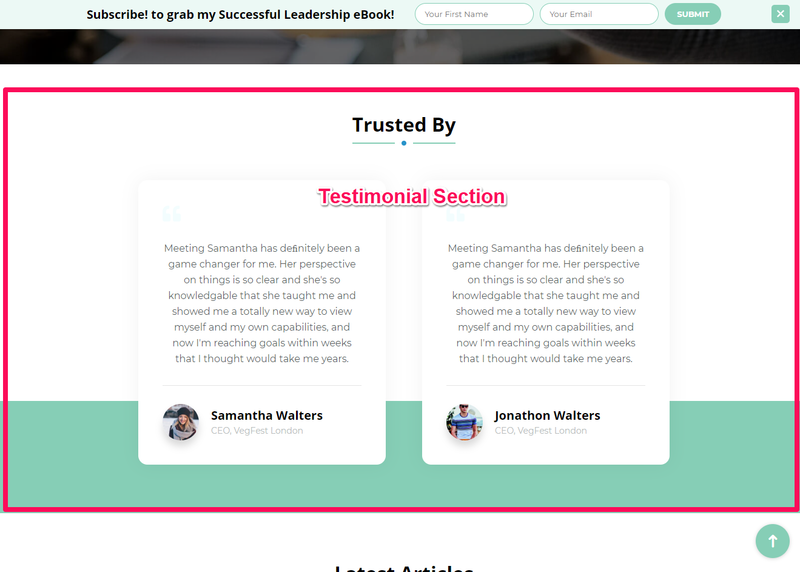 Upload an image of the testifier. 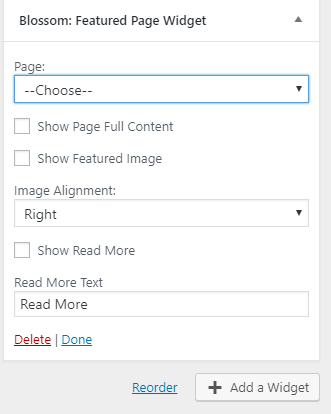 Click Done. 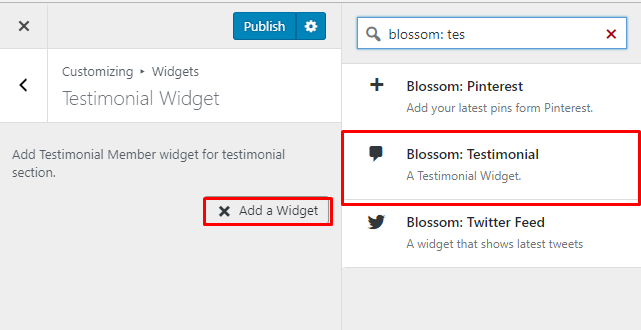 You can add more testimonials by clicking on Add a widget and then selecting Blossom: Testimonial Widget for entering testifier’s detail. 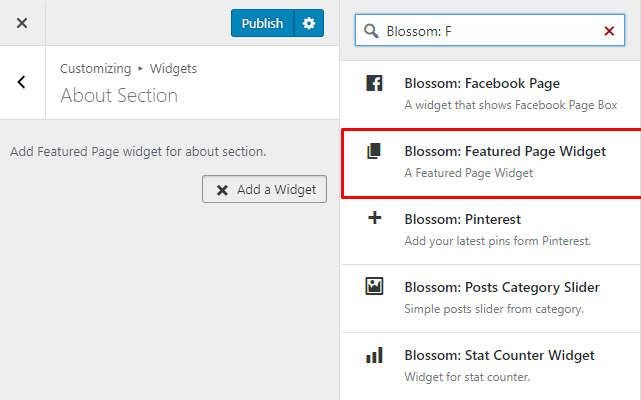 Enable Blog Section to display blog section on the homepage. 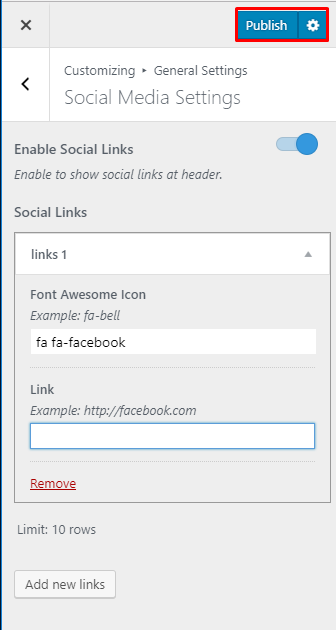 Blue is Enabled. 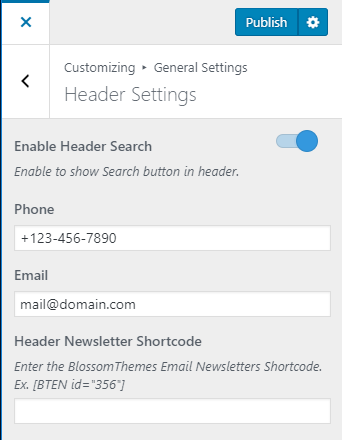 Enter Contact Form shortcode in the description. 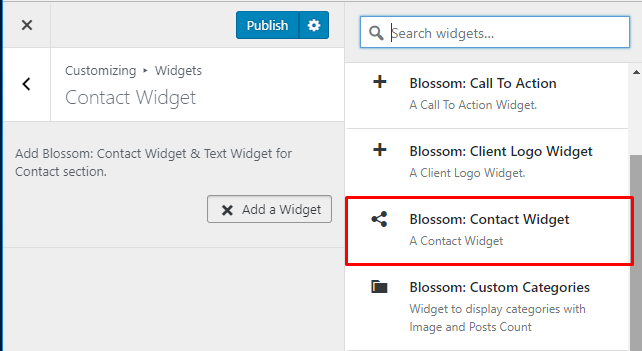 ( Please install, activate and use Contact form 7 plugin to generate shortcode for the form). 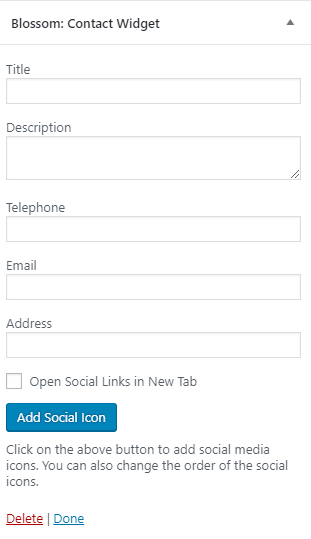 Visit Add/Configure Contact Form section of this documentation for details. 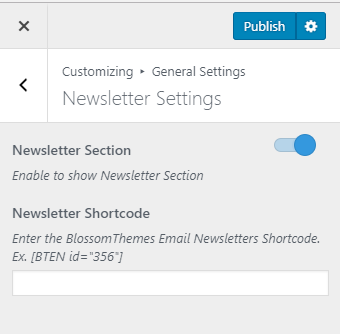 Enter the BlossomThemes Email Newsletters Shortcode. 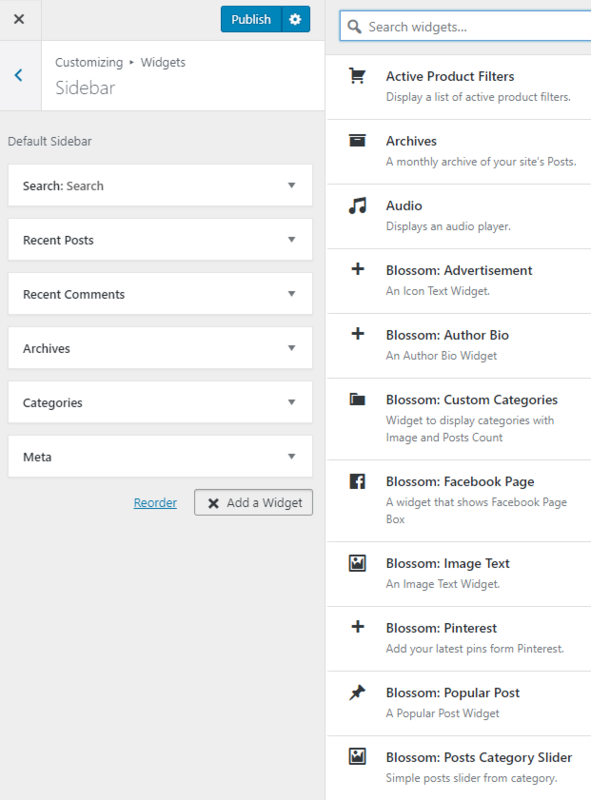 ( Make sure you have installed, activated, and generated shortcode using Blossom Themes Email Newsletter plugin). 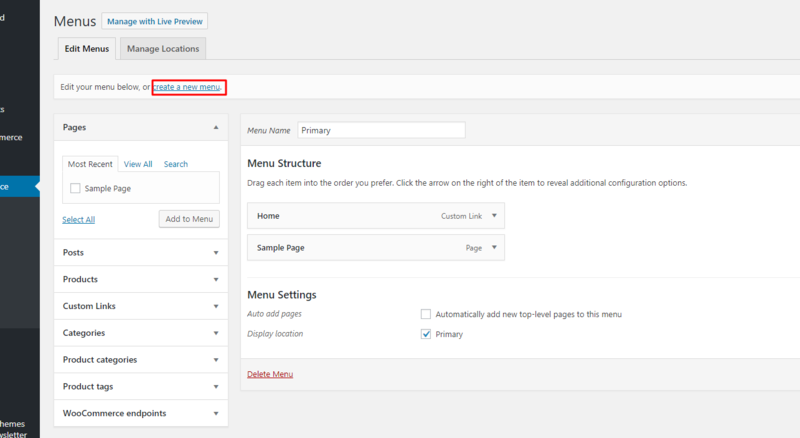 Go to the Newsletter Settings section of this documentation for detailed Newsletter configuration. 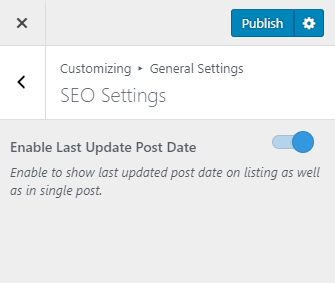 Enable Show Related Posts to show related posts below a blog post. 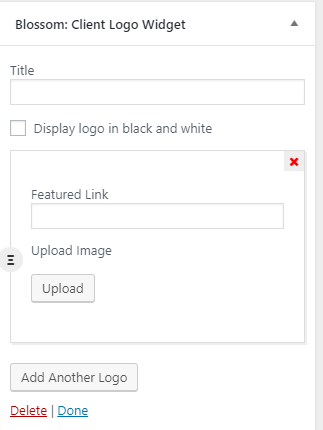 Enter the title for Related posts section. 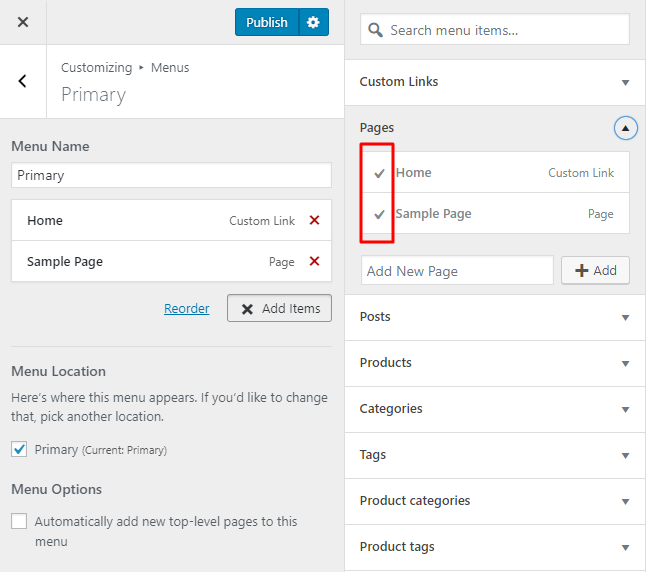 Related Post is displayed based on category.